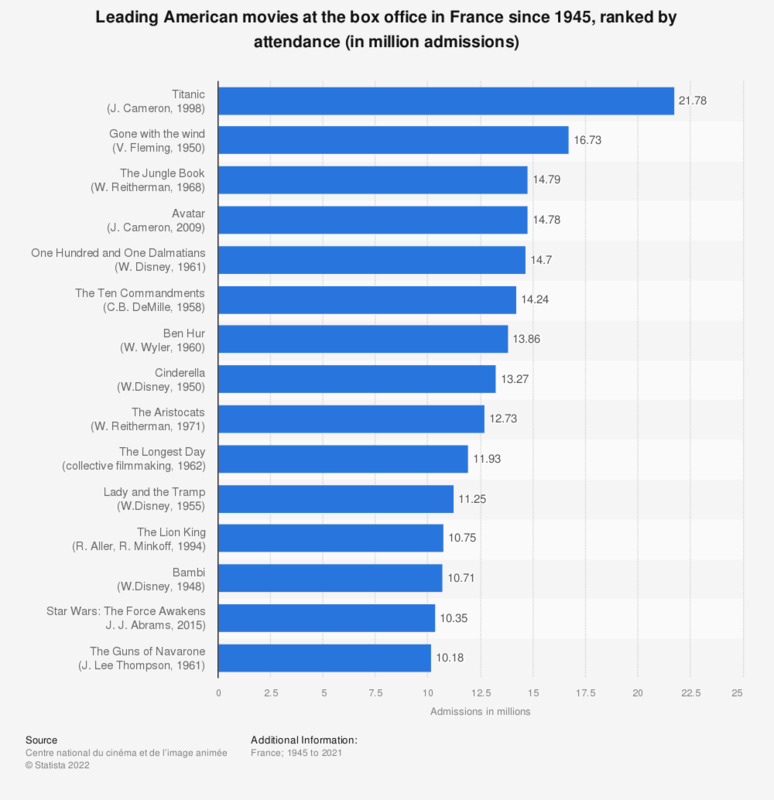 This statistic presents the most successful American films in France since 1945, ranked by attendance. It shows that four out of the fifteen most successful American movies in France were produced by Walt Disney. * Release dates in France.